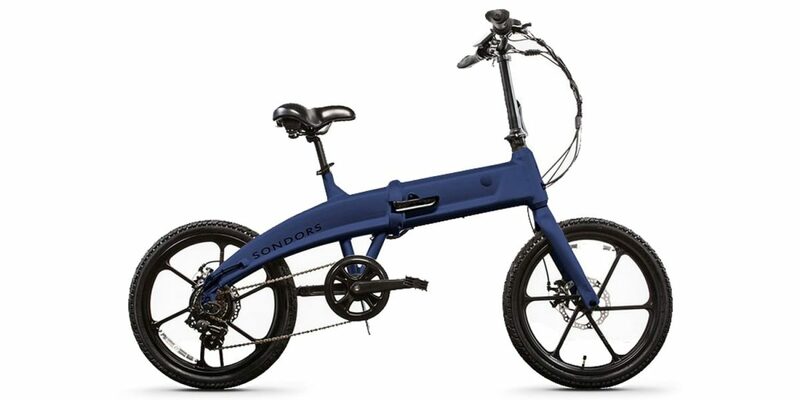 The SONDORS Fold Sport is an affordable folding electric bike with clean integrated battery and motor design. 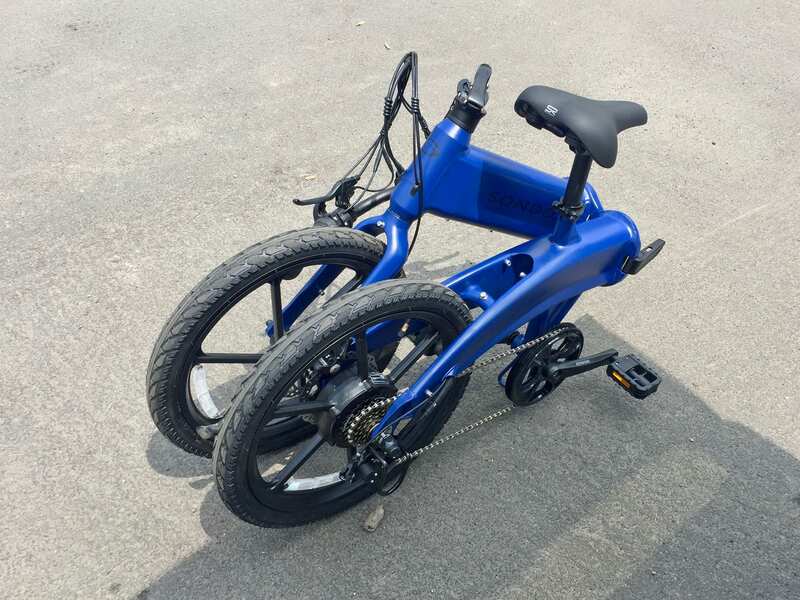 Compared to the original Fold, it has narrower tires that coast efficiently and quietly. 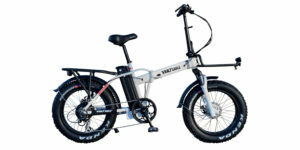 The Sport was announced in 2018 as a followup to the origninal 36 volt fat tire Fold (shown in some of the photos and video review above) and the upgraded 48 volt Fold X. 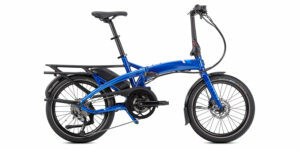 The Sport model is slightly lower to the ground because it uses 20″ x 2.1″ hybrid tires vs. 20″ x 4″ all-terrain tires. 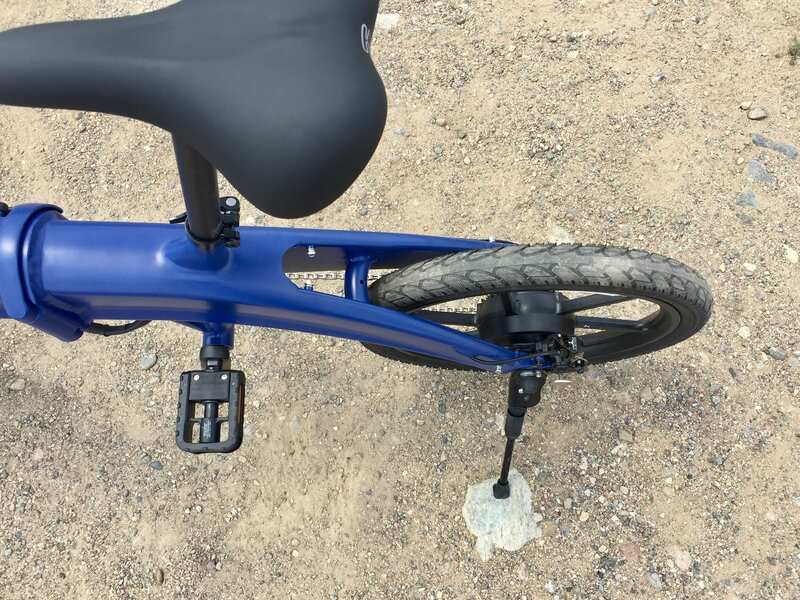 I noticed that the frame is slightly narrower, and this reduces the potential for knee and thigh bumps while pedaling. 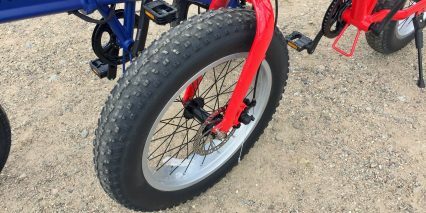 It’s a great option for people who might not be as tall, such as my 5’4″ tall mother, and those who might not ride off-road as frequently or those who desire more gears. 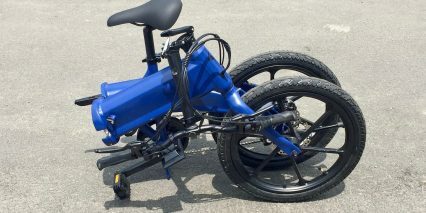 The original Fold model is a single speed ebike. Anyway, I was very impressed by the clean internally routed cables, large backlit LCD display, rack and fender bosses (for adding accessories aftermarket), and cast aluminum alloy rims. 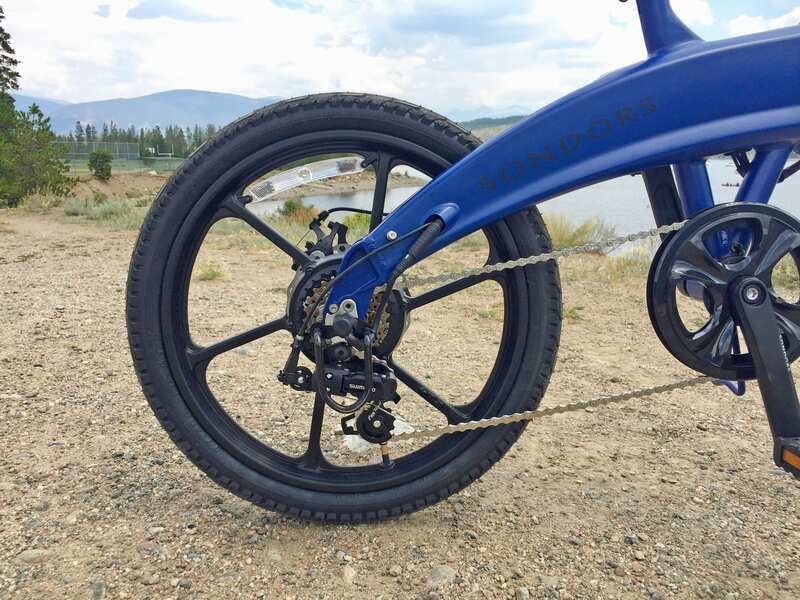 While the original Fold model came with traditional spoked wheels, the Fold Sport might actually be sturdier because of these rims. 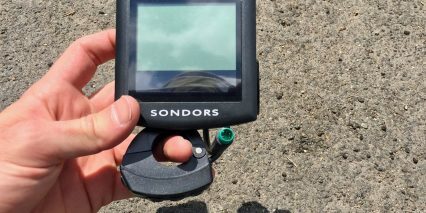 SONDORS has focused on the details with this model, upgrading several aspects including the cadence sensor, which offers 12 magnets vs. just 8. 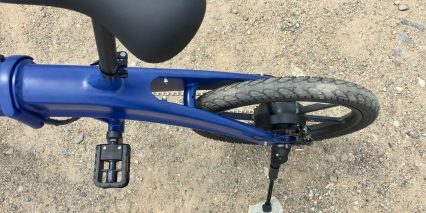 Both brake levers have motor inhibitors and have been upgraded from mechanical to hydraulic disc. 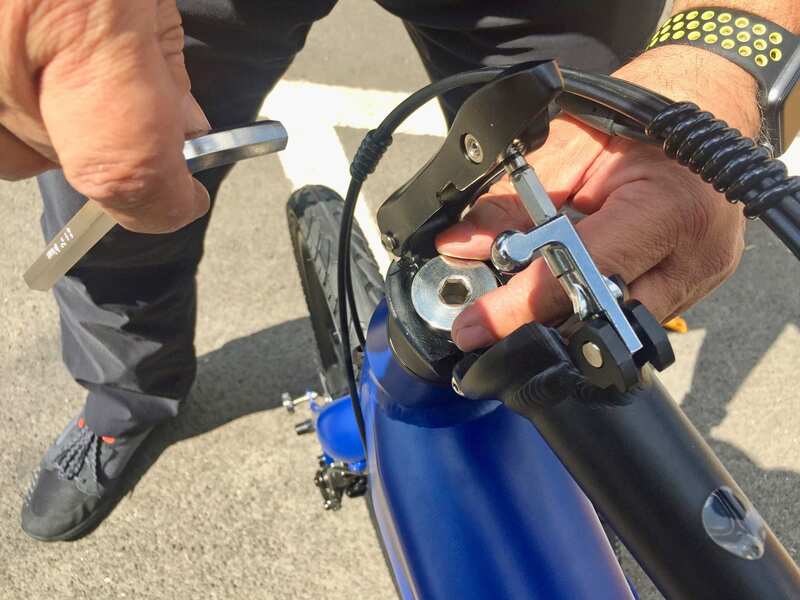 This means that they will be easier to actuate for people with less hand strength… and the levers can be adjusted to pull back closer to the handle bar for those with petite or gloved hands. 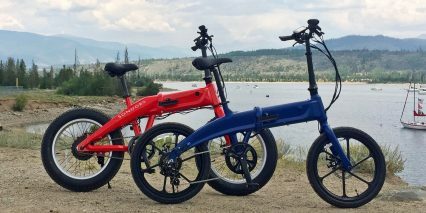 Folding bikes tend to utilize smaller 20-inch wheels that reduce overall frame size but also compromise comfort due to lower air volume. Also, the Fold Sport does not come with a suspension fork, so there’s a bit less comfort here. It’s a compromise that reduces price while improving frame stiffness, strength, and handling. I did some riding with no hands and the bike tracked well. To address this compromise around comfort, the Fold Sport comes with ergonomic grips, a name brand gel saddle, and a telescoping stem and extra-long seat post. 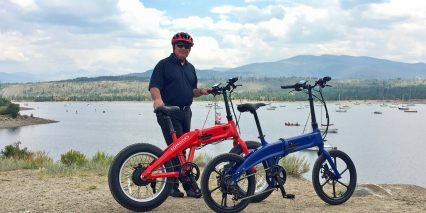 It’s a folding electric bike that can accommodate a wide range of rider heights. 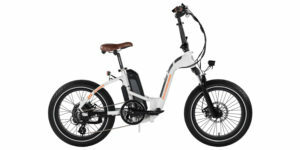 Furthermore, the product offers both pedal assist and trigger throttle drive modes, comes in several color choices, and even offers some battery size choices. 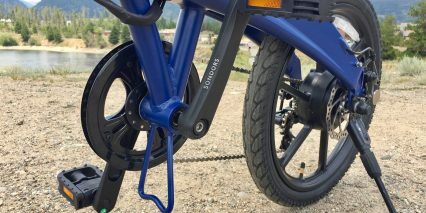 For an additional $100 at time of purchase, the default battery can be upgraded from a 313.2 watt hours of capacity to 630 watt hours, which increases range. As with any product, especially at a value price point, there are trade-offs to consider here. 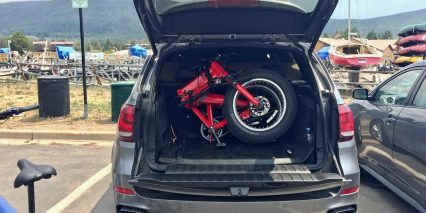 The bike weighs ~55lbs, which I consider heavy for a product that doesn’t come with suspension, fenders, a rack, or integrated lights. 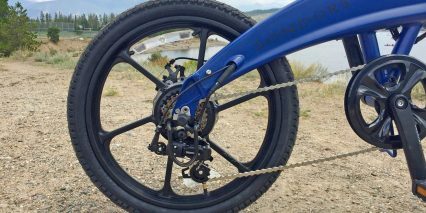 Also, the derailleur used here is entry-level, adding to the weight and limiting performance a bit. 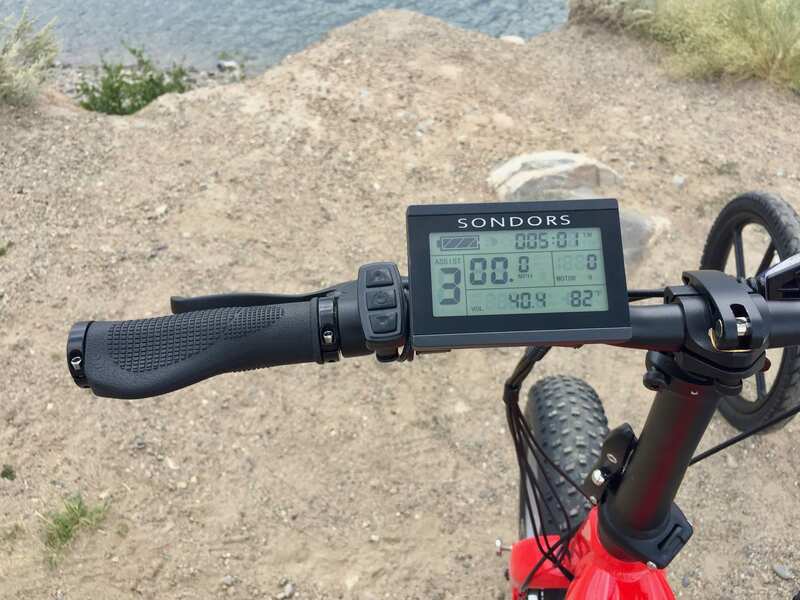 The display cannot be removed for protection during folding or transport, and there’s no USB ports to tap into while riding (to charge your smartphone for GPS or an aftermarket light). 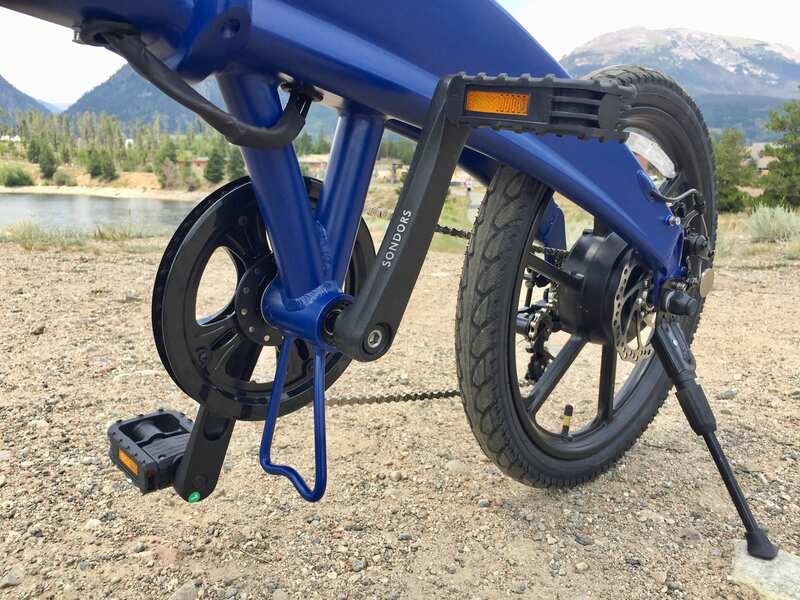 While the battery is beautifully concealed inside the frame, the plug cover that protects the on/off switch and charging port does not have a leash to keep it from getting misplaced. 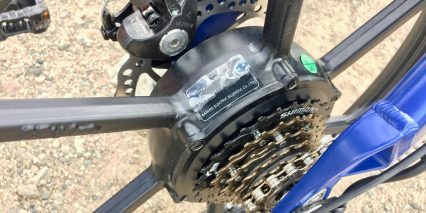 The plastic pedals are okay, but don’t offer as much surface area or grip as some larger alloy products found on more expensive models I’ve tested. 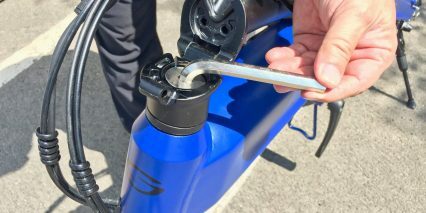 The chain guide should reduce chain drops but is made with plastic that could get cracked… so thankfully, there’s a nice support arm below the bottom bracket as well as a derailleur guard at the back. I was excited to see a pair of magnets that keep the bike folded. Other options include rubber straps or bungee cords, but the magnets worked quite well during our folding/unfolding process. 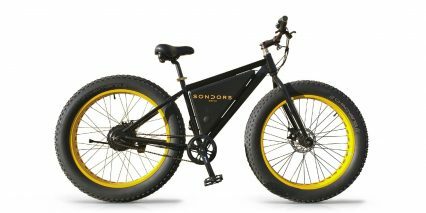 There’s a lot to consider with a direct order electric bike like this, including unboxing and assembly, but I was generally impressed with the product and excited to see how the SONDORS company has continued to innovate and deliver since my first review of the original SONDORS fat bike in 2015, which was made possible through crowdfunding on Indiegogo. 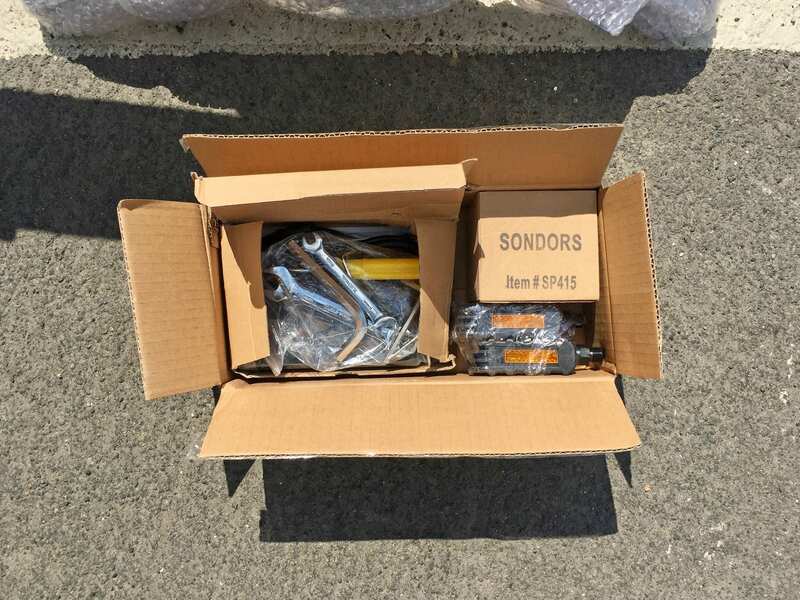 SONDORS only offers a 30-day warranty and there was more assembly required here than many other folding ebikes I have ordered online, specifically with attaching the steering column. The company has a website community and Facebook group that are fairly active and enthusiastic about helping and we have a forum section dedicated to their products as well. 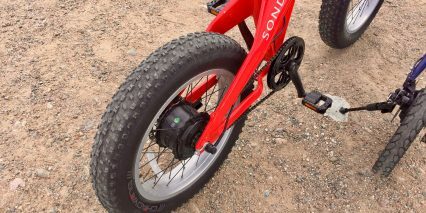 Driving the bike is a modest 350 watt Bafang planetary geared hub motor, completely encased in the rear wheel. It delivers a good sense of torque and acceleration because of the smaller wheel diameter, which provides a mechanical advantage. 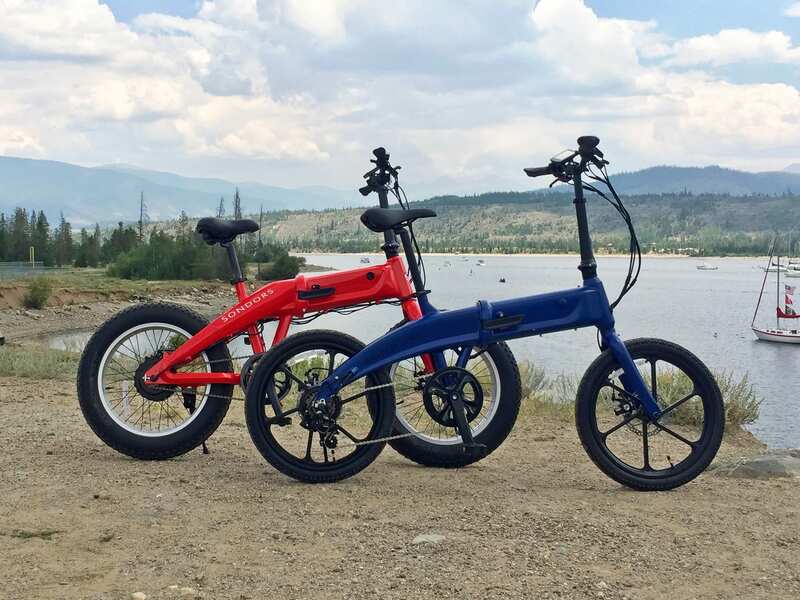 Bafang is a Chinese company that has established itself as a leader in the ebike space over the past decade, producing mid-drives and hub motors for OEM manufacturers and kits. This particular motor should be reliable, but does produce some electronic whirring noise under full power. 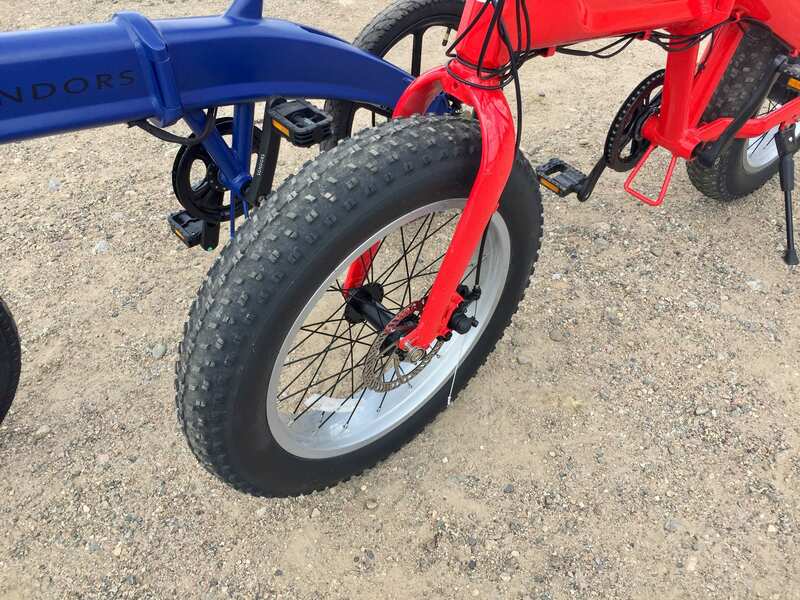 There’s a quick-disconnect point near the rear axle, to make servicing the bike easier. 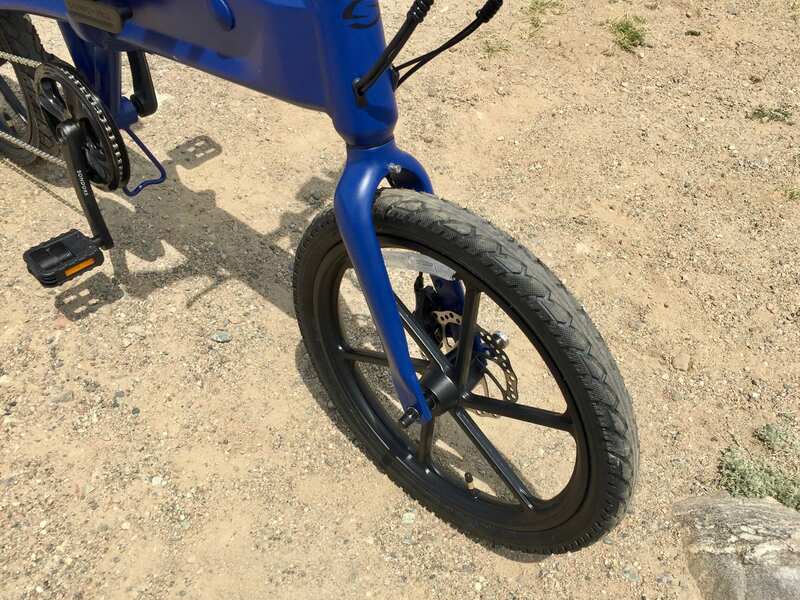 Neither wheel offers quick release, but the front axle has been upgraded from previous Fold and Fold X products to be thicker and sturdier. 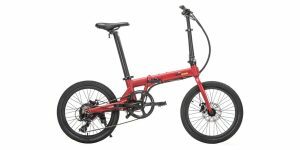 With six gears to choose from, the Fold Sport is comfortable to climb with or maintain the maximum supported speed of 20 mph, and the half-grip shifter mechanism is intuitive and clean looking. 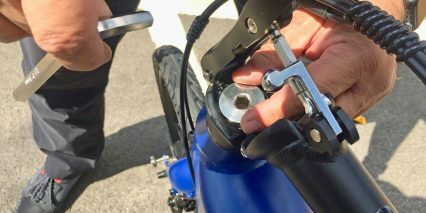 This is a Class 2 product by default, offering assist and throttle mode, but you can disconnect the trigger throttle to convert the bike to Class 1 if you’d like. I noticed that the connector wires use color coded end points that make re-connecting very intuitive. As someone with knee sensitivity, I definitely appreciated and enjoyed the trigger throttle, but was a little wary when powering the bike on because the throttle is instantly live once the display powers up. 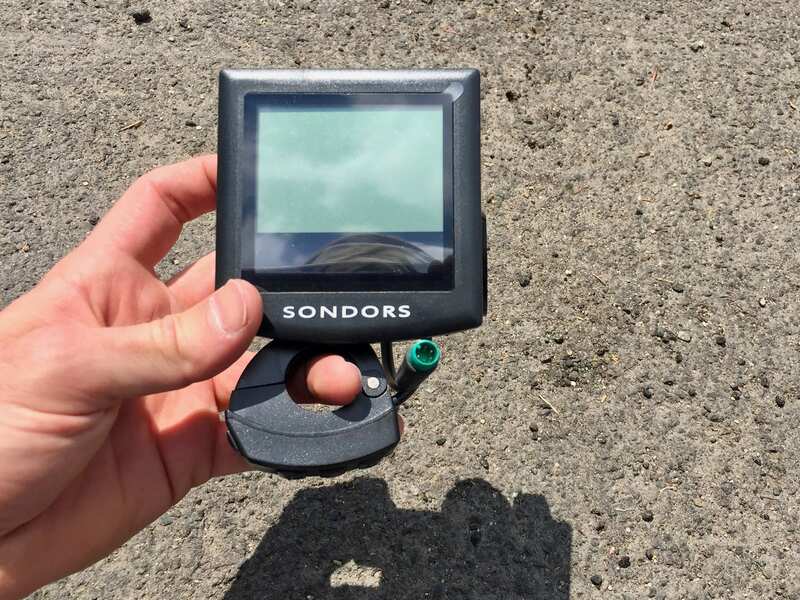 In order to keep the price low and reduce failure points, SONDORS has opted for a cadence sensing assist vs. torque or multi-sensor here. You can see the little round disc with twelve inset magnets mounted behind the right crank arm, on the spindle. This is a time tested design that works pretty well, but the motor response can be more of an on/off sort of feel vs. smooth ramp, and the disc can get bumped out of alignment and dirty a lot easier than some new sealed sensors. Both brake levers have override switches built in, to cut power to the motor, so that’s a nice addition to the 12 magnet upgrade in the cadence sensor. 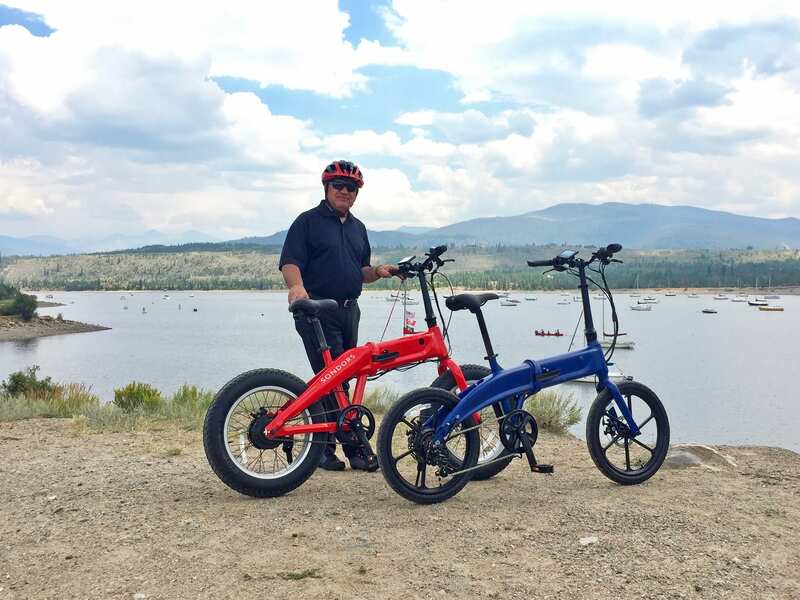 Overall, I felt that the performance of this e-bike was satisfying and comfortable. 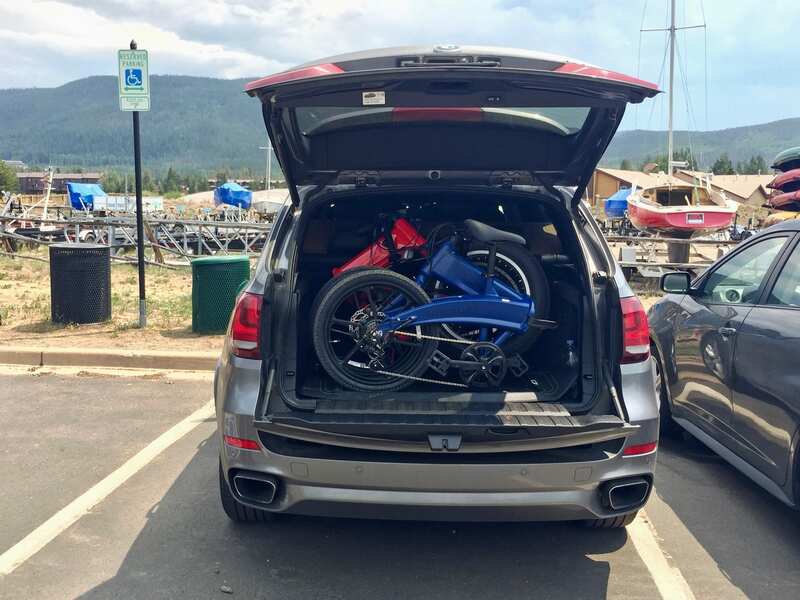 As a relatively lightweight rider myself, weighing just 135lbs, the bike felt zippy and was able to climb a fairly steep section of bike path with throttle power only… though I did have some momentum going in. 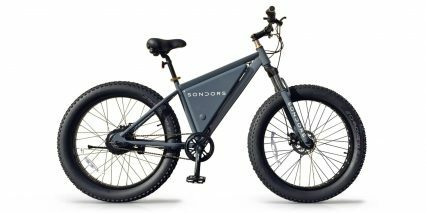 The Fold S is rated up to ~240 lbs, so heavier riders may need to shift to low gears and pedal actively in order to effectively ascend steep sections of trail. 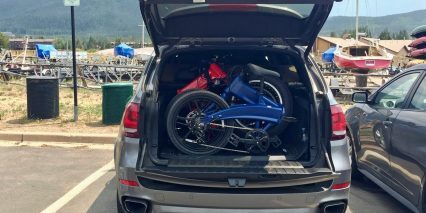 Same goes for individuals who install a rear rack and carry extra gear. I already touched on the battery size options but want to call out how nicely the pack fits into the main section of tube. This design looks beautiful and provides a degree of protection if the bike tips. Even when it’s completely folded, the battery stays mostly hidden inside the frame and didn’t appear to rattle around. 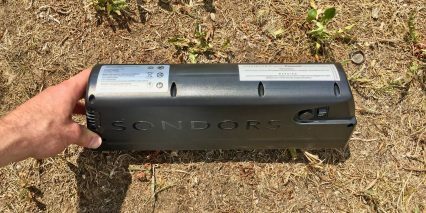 SONDORS has opted for high quality Panasonic lithium-ion cells inside the pack, and chosen a case design with a little handle molded in. This makes it easier to pull out and carry around. 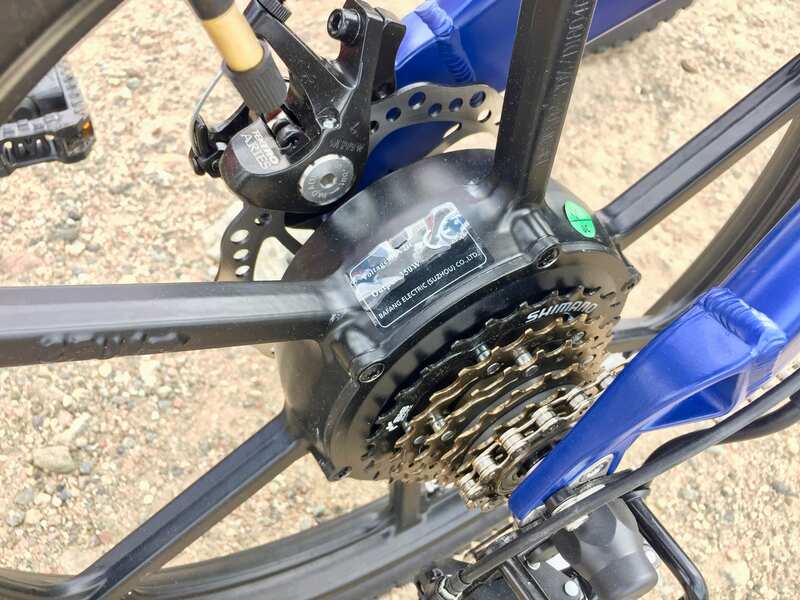 You can charge the pack on or off the bike, but there isn’t an LED charge level indicator built in, so you won’t know how full it is without re-attaching to the bike and powering on. Furthermore, the charger is pretty basic. 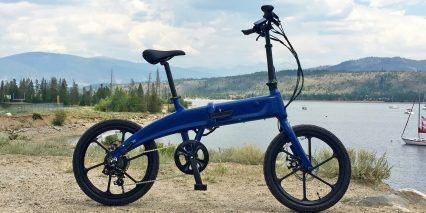 It’s compact and lightweight, but only puts out 2 amps and could take six or more hours to fully charge the larger battery option. In my opinion, that battery is a great deal and an excellent choice for heavier riders and those who enjoy throttle mode (or the highest levels of assist). To protect your investment, be sure to keep the battery charged above 20% whenever possible and store it in a cool, dry location. Extreme heat and cold can damage the battery cells over time and you’ll definitely want to avoid dropping the pack. 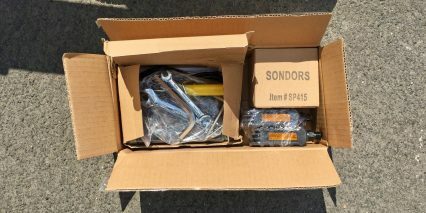 I’m told that the battery is actually interchangeable between the different models, but I cannot say for sure… and would advise not to mix 36 volt and 48 volt packs because the controllers are likely different. 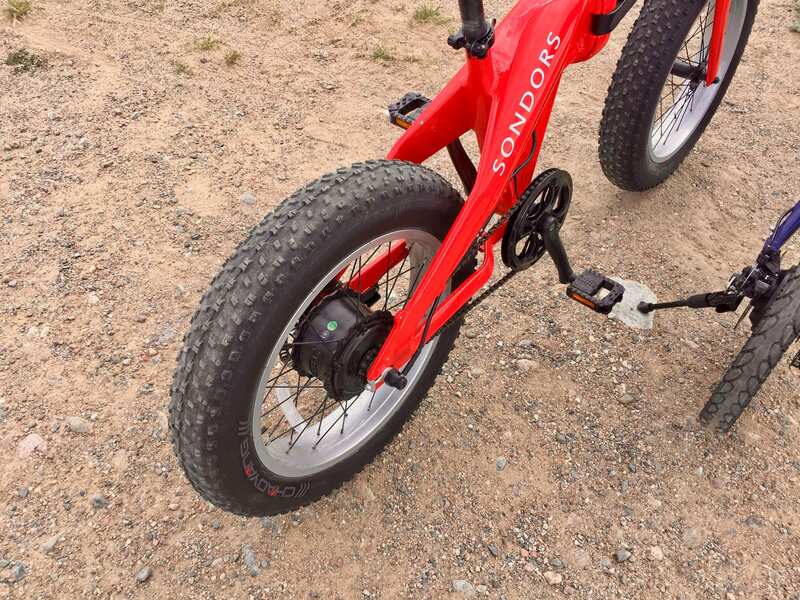 Operating the bike is a two-step process, starting with the battery pack. Once it’s charged and mounted, you need to click the little on/off switch located on the right side (behind the rubber circle grommet plug thing). Next, you’ll need to press the i button on the control pad, near the left grip. 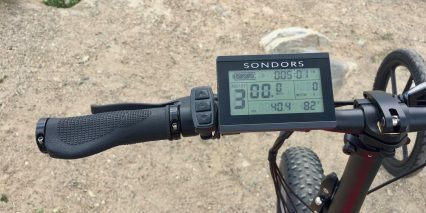 At this point, the monochrome LCD display blinks to life, showing your battery charge level, current assist level (the default is 2), and some trip stats. 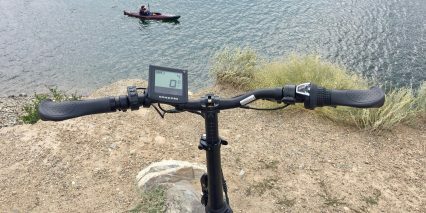 From here, you can press the trigger throttle on the right or begin pedaling to get assistance from the motor. It’s pretty simple and satisfying. You can click the i button to cycle through different stat readouts such as odometer, trip distance, ride time, max speed, and average speed, and you can click the + and – keys to raise assist to a maximum of 5 or lower it to 0, which disables the throttle as well. There’s one extra button to discuss here, and that’s walk mode. 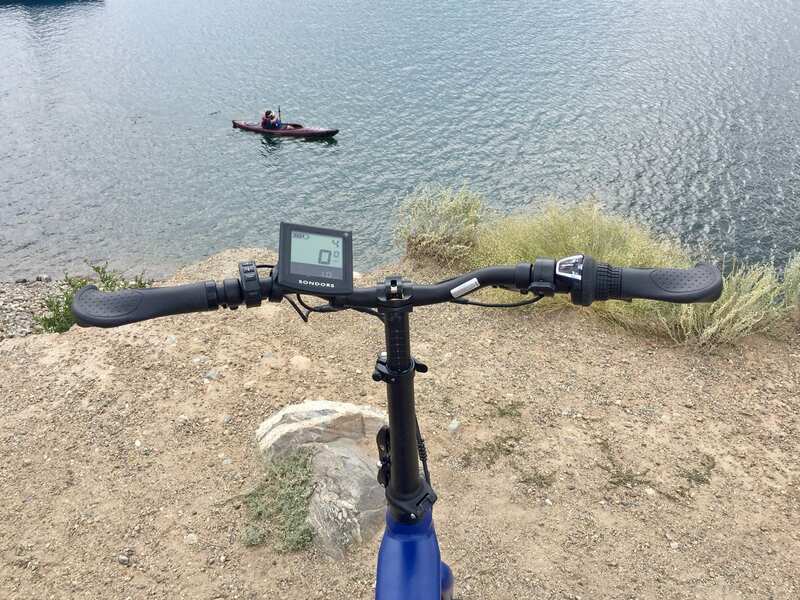 For people who aren’t keen on pushing the bike through grass, up hills, or anywhere else when not riding, the walk mode button activates the motor to slowly move the bike forward at 2-3 mph. 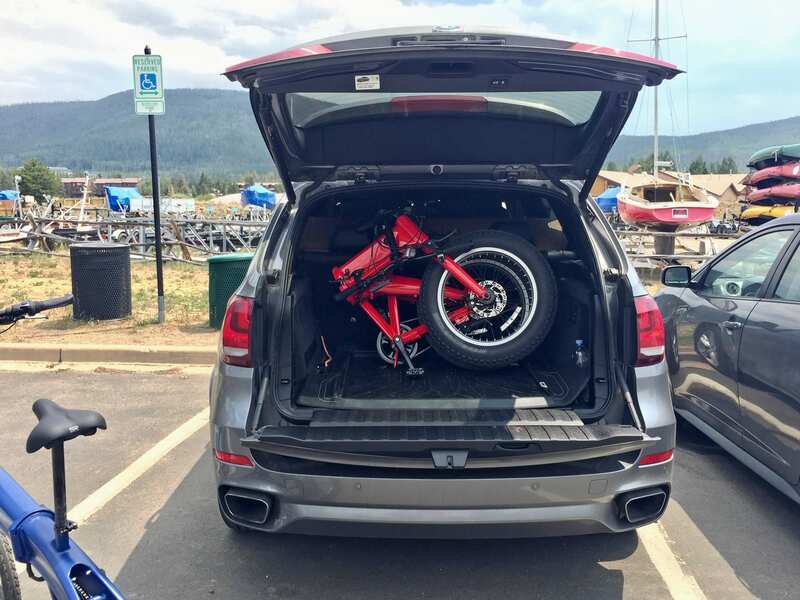 It’s a nice feature to have considering the slightly higher weight of the bike, and in those cases where you get a flat tire or have some other mechanical failure. All in all, the new square display works well, but isn’t much different than the older rectangular display of the original Fold and Fold X (which was shown side by side in the video above). I got excited initially, seeing a rubber cover at the base of the new display, hoping for a USB port, but it turns out that there was nothing behind the rubber cover. 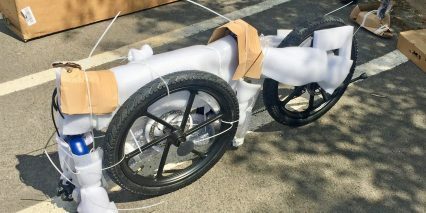 To be transparent here, we were looking at a near-finished ebike and possibly not the final production model. 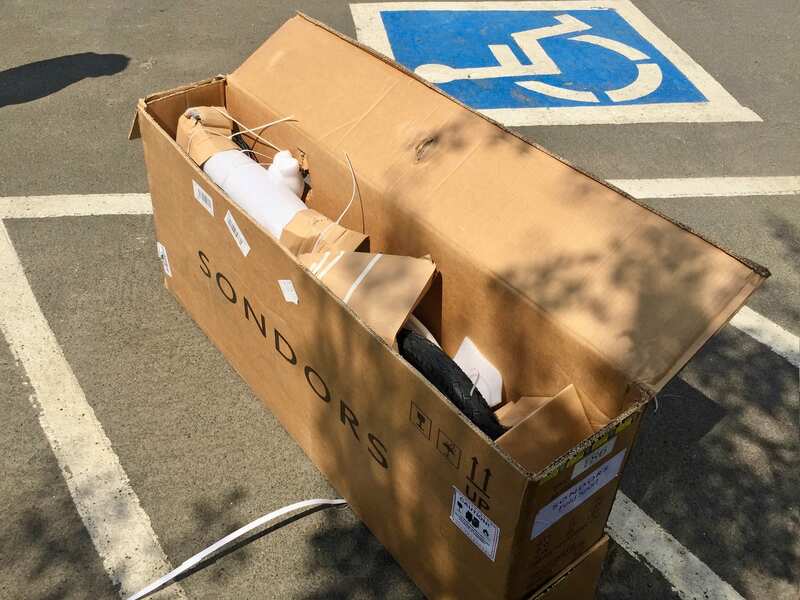 The bike had mechanical disc brakes vs. hydraulic for one, and it’s possible that SONDORS could add USB or some other little tweaks in the coming months. 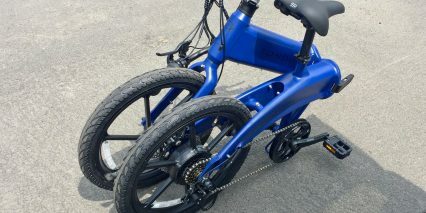 I really liked how this folding electric bike looked and how it rode. It felt stable and sturdy, and the weight wasn’t much of an issue once I was on it. 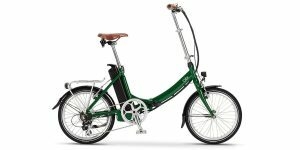 As a fit but not super strong guy, I’d probably remove the five pound battery each time I was folding and lifting the bike to make it easier to lift. 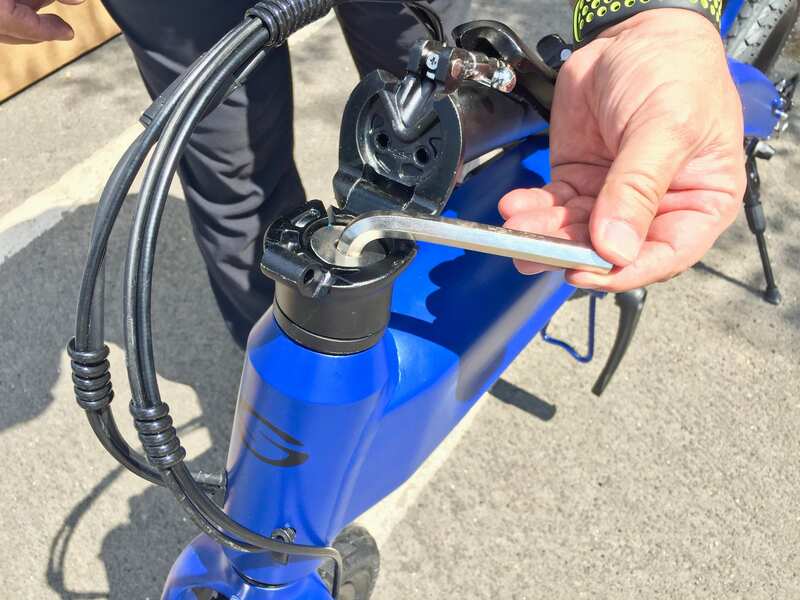 I would definitely advise people to take their time when building the bike and installing the fork; consider removing the folding mechanism so you can get to the top hex bolt easier and align it perfectly before tightening. I would probably run the tire pressure a bit low to improve comfort because it’s difficult to find longer suspension seat posts for products like this, and I have a long inseam so it’s nice to keep the seat raised high. The recommended tire pressure range is 40 to 65 PSI, and I wouldn’t go below that for fear of getting pinch flats. 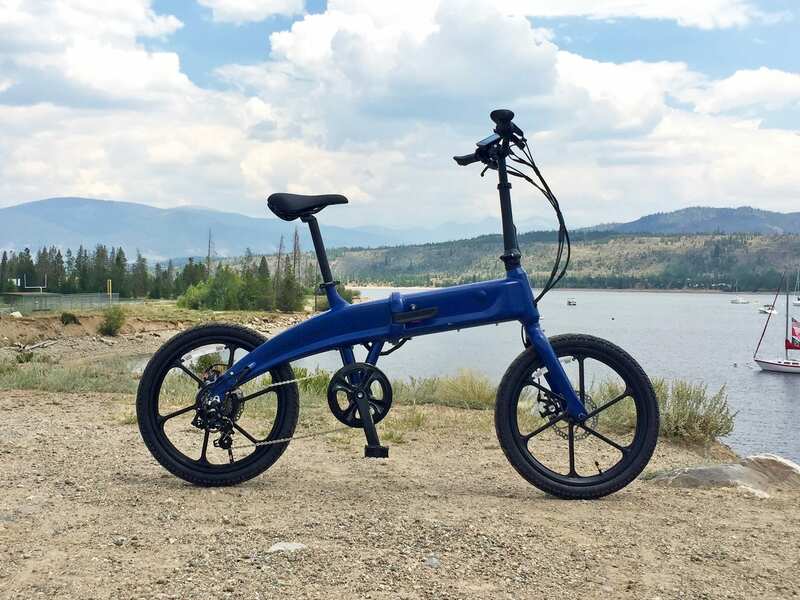 The smaller wheels deliver a higher attack angle that won’t span cracks or overcome rocks and gravel as smoothly… but that’s always a trade-off for folding models like this. 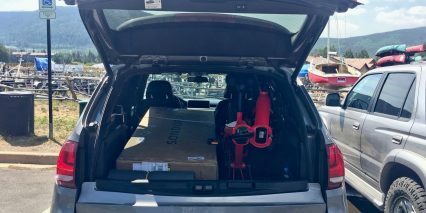 I’d grab a bicycle bell, some USB rechargeable lights, and maybe a rack for carrying cargo (like a trunk bag with a bottle holster) and call it good. 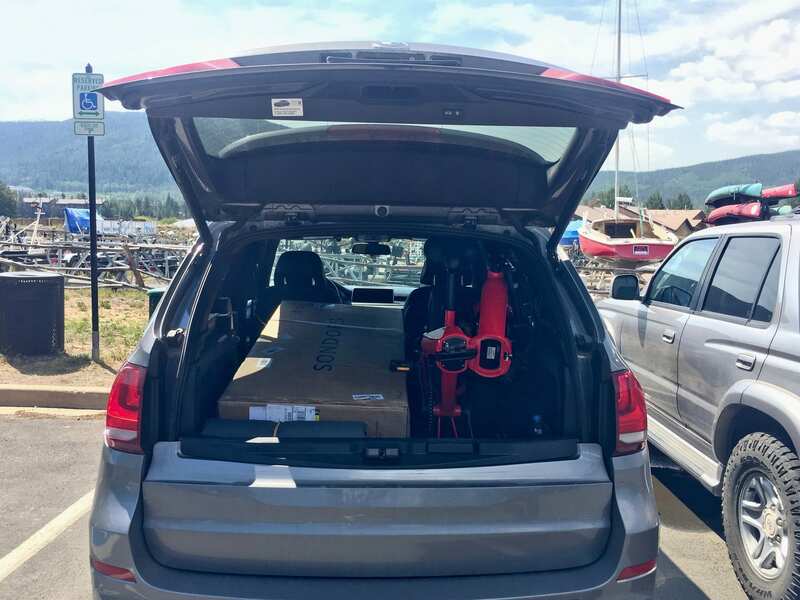 My Mom and I were taking a little family trip during this review, in the Colorado Rocky Mountains, and she was easily able to mount and stabilize the bike. Weighing just 120-ish pounds and standing ~5’4″ she had no problem and really enjoyed the zippy feel. 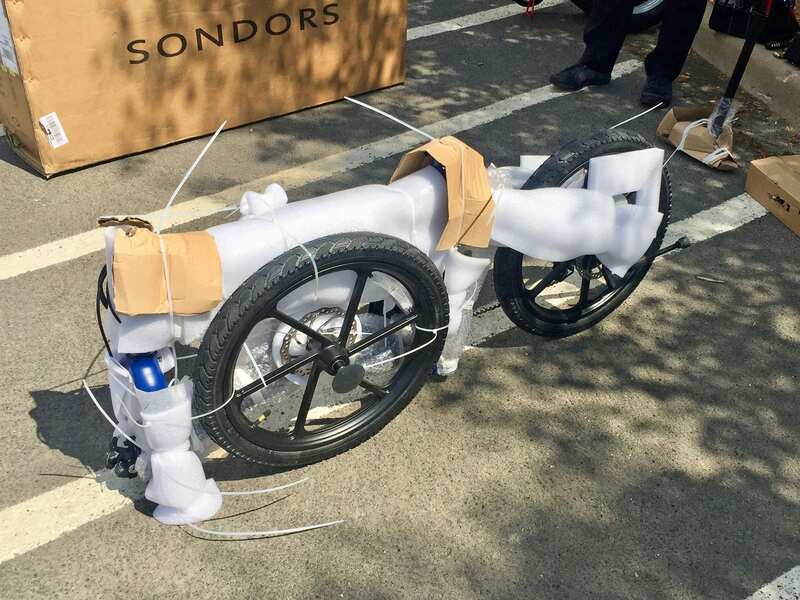 The Sport was easier to approach for her and the folding joint at the middle wasn’t as prominent as the Fold and Fold X, which could get bumped and then bruise her knee or calf/thigh while pedaling. 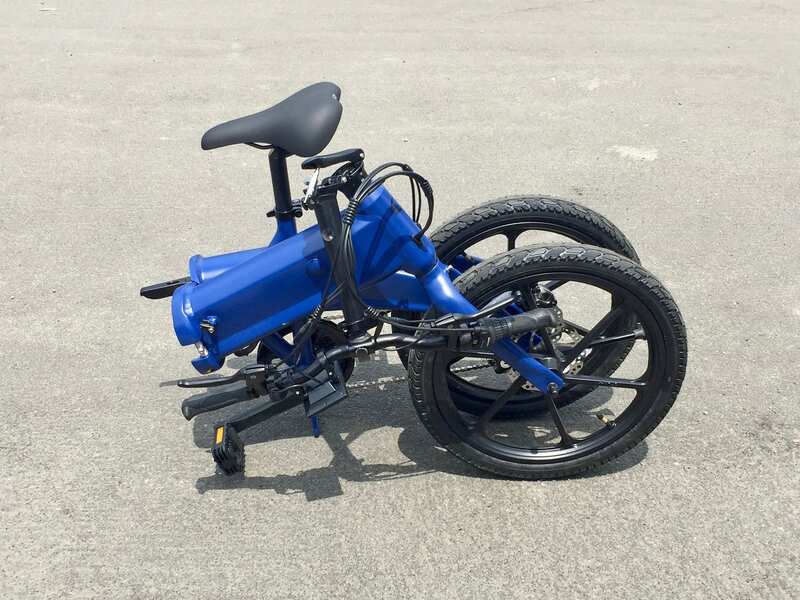 Big thanks to Houshmand for bringing his own personal bikes to make this review possible! He contributed a lot of knowledge and energy to meet us up there. 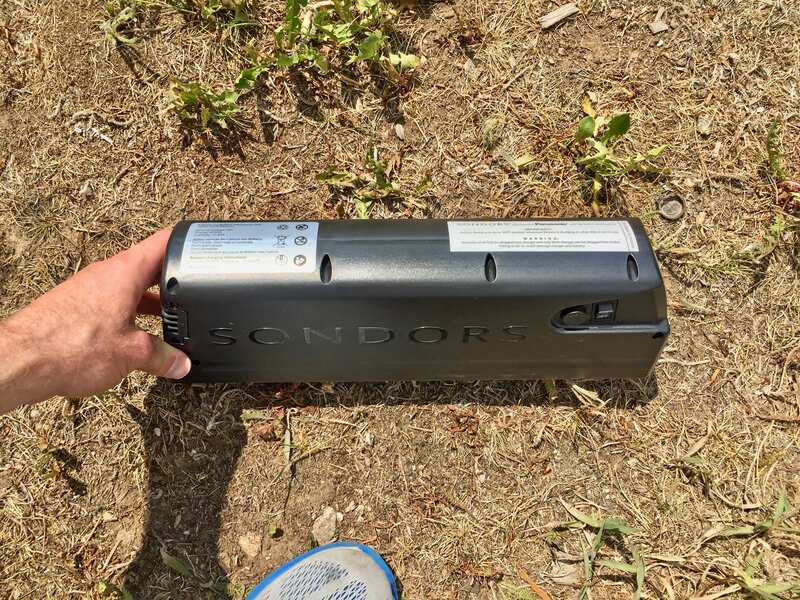 Big thanks to him and SONDORS for partnering with me on this review and I welcome questions and comments below, as always, in addition to the SONDORS Ebike forums. 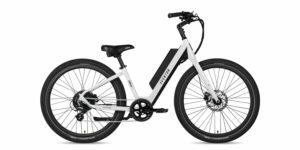 Please note that I do not know when this exact product will be available, whether all of the specs will match my review perfectly, and that crowd funded ebikes can sometimes get delayed. 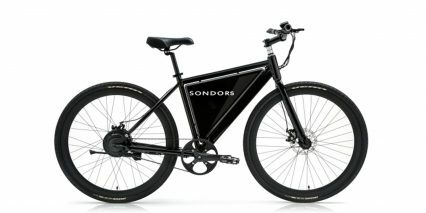 SONDORS has earned my trust over the past three years, but there are often trade-offs for lower priced ebikes vs. buying at a local shop where they have inventory on hand that you can test ride and get fitted on and buy immediately. 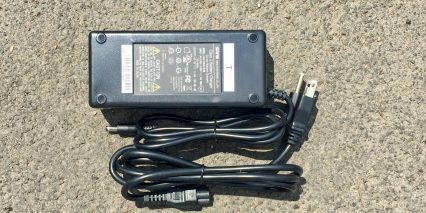 Minor gripe, it would be nice if the charger was a bit faster than standard 2-amp, especially if you upgrade to the larger capacity battery pack, I would also love to see a USB charging port built into the battery or the display for use while riding and stopping for picnics etc. to power a light or keep your phone charged etc. Wow. A whole 30 days on the warranty. That inspires all sorts of confidence in ones product. 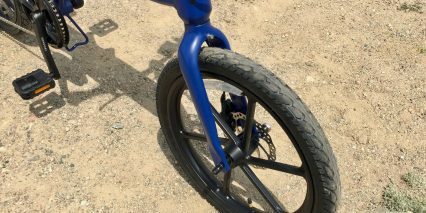 Where did you film the review of the bike in this review? 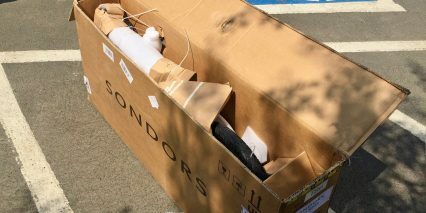 That is the new Sondors 6 speed folding bike. Was it Colorado? If so, where please. 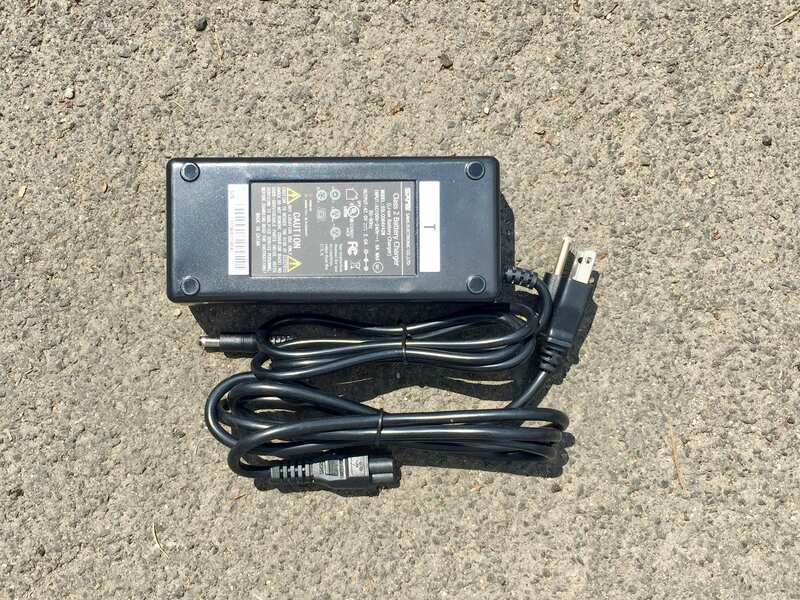 What was the price for the 17 1/2 amp hr larger battery?